All threads from the same process share memory space of the process that created it, on the other hand, each process has their own address space. Threads can directly communicate with other threads of the same process. Many programming language e.g. Java provides tools for inter-thread communication. It's much cheaper than inter-process communication, which is expensive and limited. Threads have less overhead compared to Process in terms of metadata, context switch and CPU and memory requirement. Thread have direct access to the data segment of its process, an individual process has their own copy of the data segment of the parent process. See the difference between Stack and heap for more details. New threads can be easily created e.g. in Java you can create a new Thread by creating an object of Thread class and calling start() method on it, while new process requires duplication of the parent process. Changes to the parent thread e.g. cancelation, priority, the daemon may affect the behavior of the other threads of the process, but changes to the parent process do not affect child process. Since all threads from the same process share same address space, inter-thread communication and context switching between them are much faster than inter-process communication and context switching between process. 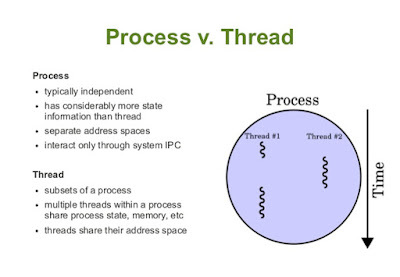 These were some fundamental difference between thread and process which every programmer should know. 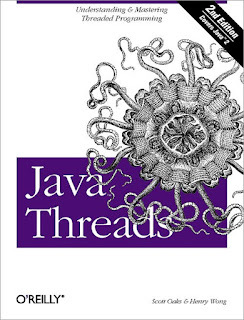 If you don't then I suggest you must read Java Threads By Scott Oaks, one of the great introductory book on multithreading. Both Thread and process shares lot of similarity in the sense that both executes code, both has ID, execution time, based priority and exit status. Both can create another process and thread as well, but the thread has a greater degree of control over other threads of the same process. The process only has control over child process. That's all about the difference between a Thread and process in the operating system and Java or any other programming language. Threads are lightweight, an independent path of execution in the process. They share same address space of the process and less overhead compared to process. Process are an individual program, require their own address space and has more overhead than threads. Also, the difference between Thread and process depends upon operating system implementation. For example, there is very less difference between a thread and a process in Linux than Windows.